David L. Yermack is the Albert Fingerhut Professor of Finance and Business Transformation at New York University Stern School of Business. He serves as Chairman of the Finance Department and Director of the NYU Pollack Center for Law and Business. Professor Yermack teaches joint MBA – Law School courses in Restructuring Firms & Industries and Bitcoin & Cryptocurrencies, as well as PhD research courses in corporate governance, executive compensation, and distress and restructuring. Professor Yermack has been with NYU Stern since 1994. His primary research areas include boards of directors, executive compensation, and corporate finance. Professor Yermack has published more than 25 articles in leading academic journals in Finance, Accounting, Economics, and Law. He is a Faculty Research Associate of the National Bureau of Economic Research and has been a Visiting Scholar at the U.S. Federal Reserve Bank. 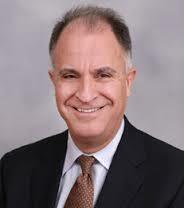 Professor Yermack received his Bachelor of Arts in Economics (1985), Master of Business Administration (1991), Juris Doctor (1991), Master of Arts in Business Economics (1993), and Doctor of Philosophy in Business Economics (1994) from Harvard University.